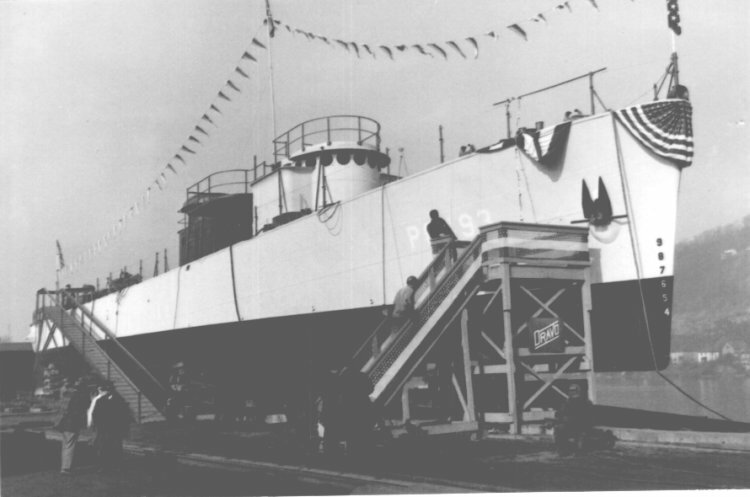 Photo.www.navsource.org Launching ceremony at Dravo Corp. Pittsburgh. January 1942 By Bob Daly PC 1181. 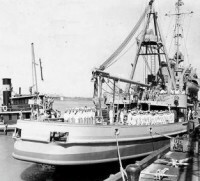 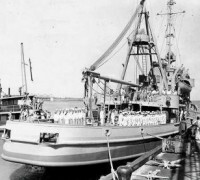 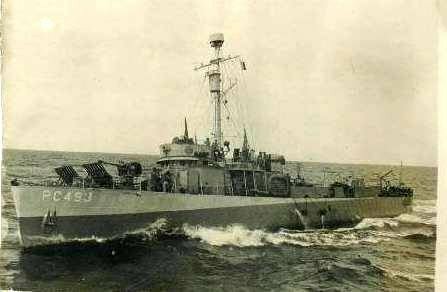 PC-491 Class Submarine Chaser: Was attached to Adm Ingram’s Fourth Fleet based at Recife Brazil and took part in several patrols and escorting convoy duties. She was one of the first vessels to engage in operations off Recife.